Finished a painting I started long ago, then made a little video from the thoughts I found inspiring. It is symbolic for me. A painter tries to create visual beauty like a dancer tries to create exquisite lines or a musician works to create pleasing harmonies. 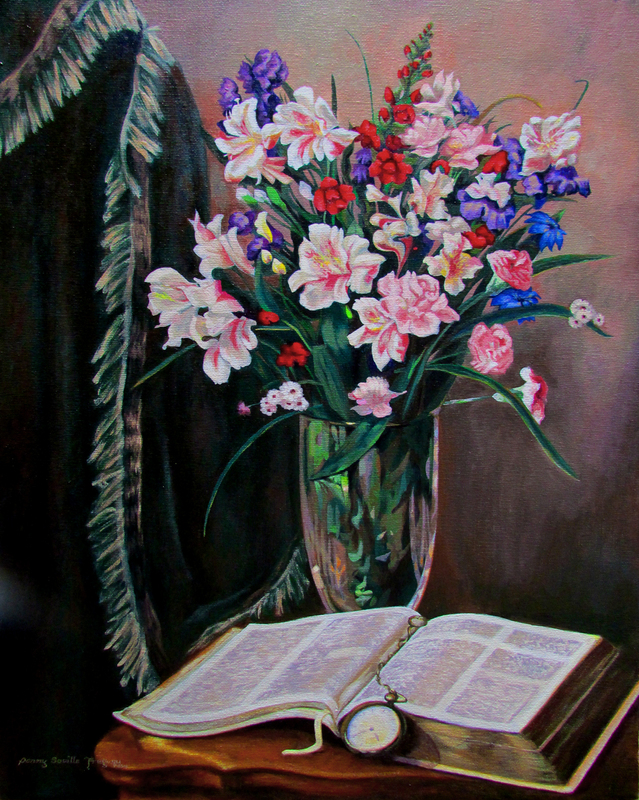 Picturing the Bible in this painting makes me recall many a morning as I searched for answers, saw words of hope for the future and passages that have encouraged me along the way. Over time this morning practice has become “beautiful” to me. Hope you enjoy this little “morning devotion” from Psalm 19. How Do You Mend a Broken Heart?